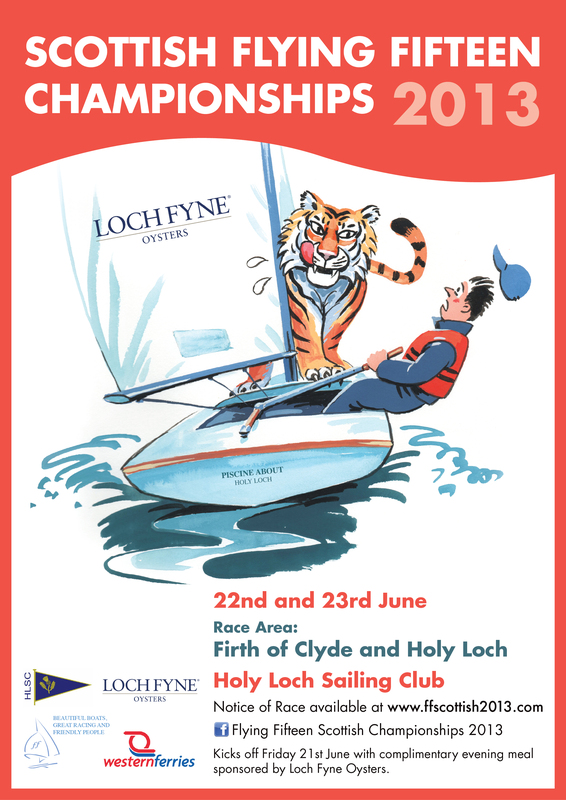 Flying Fifteens – The Most Fun You Can Have With a Keel On….and GREAT Club Racing…!!! Brett was saying that on flat water (like Datchet), really the difference between the Mk IX and Mk X Ovington’s is going to be minimal. That’s certainly our experience here and indeed the Mk IXs go like a bomb in our waters. So what is Brett up to with hull shape? His moulds seem somehow to now be at Composite Craft and have had some tweaking to bring about Charles’ latest boat. Brett says that the basic change is to make it a bit flatter at the back, because it is very hard to reach a Fifteen in breeze, under three sails, so that it is dead upright. It’s good to know that even stars like Charles and Brett have that problem…. Remember that 3860 is a Brett-Boat and in the hands on Mark and Tony it is a pretty quick boat as it is. Charles has told me that the computer simulations of his latest hull indicate that it should be 8 minutes quicker than a Mk X over a 100 minute race. Interesting – not borne out in experience this year I don’t think, but Dave Rickards, who sails with Charles quite a bit, tells us that the boat actually does feel like it has a good speed edge to it. However, it maybe plays to our own little bias in our boat, that at Datchet our Mk IX seemed a little imperceptible bit quicker in a breeze. When we had the Mk IX we wondered if it was keel position giving it the edge, but now Brett’s remarks about his hull shape have us wondering…. A bit fireball-esque, and unlike conventional FF jibcars, these adjust vertically. 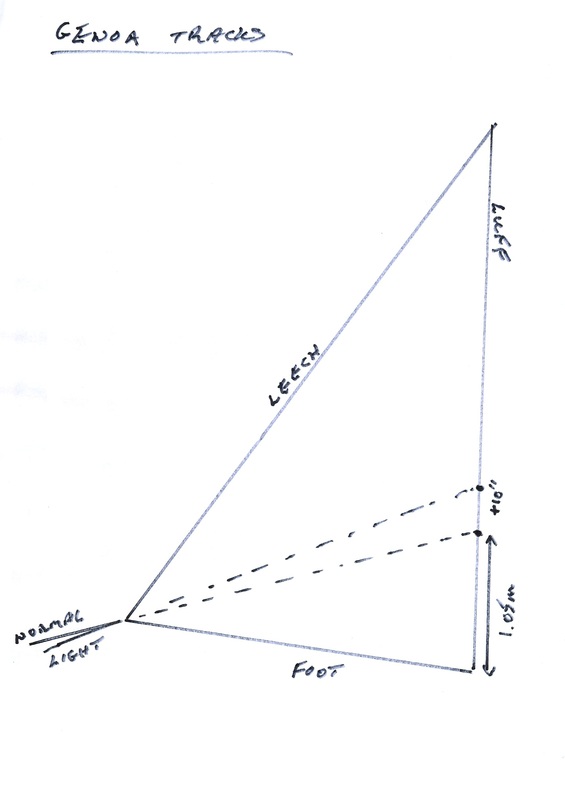 You will note they also have lateral adjustment of a couple of inches. The red adjustment line gives the vertical slot control. The other thing that will strike you, probably, is that they look a bit lethal!! 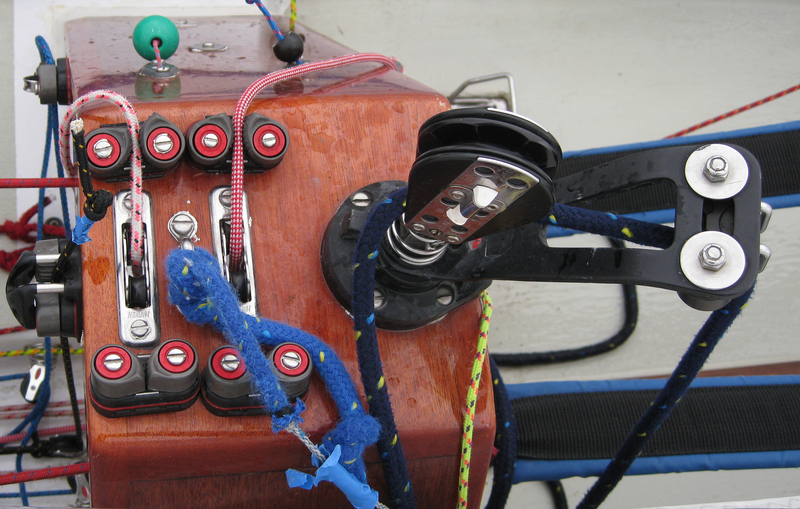 However, the clever answer again is that they are sprung loaded vertically, so hopefully pretty kind to the crew leg…. We were wondering if this is the way the new rig will cause jib cars to go in future?? Brett is very experienced in Flying Fifteens and what he does with his boats always seems very thoughtful to me. His cockpits are wider than the Ovington and as Charles would point out, you can hang out further….. Argghhhh!!! The way the console fits into all that is that you get more room for your feet and better fore/aft mobility for the helm. Brett does not have a central “table console” like the Ovi, but he fits this very elegant inverted V console. This one is in Brett’s own boat and you can easily get a sense of what I mean. We have five controls on our centre console in the Ovi and Brett has to distribute roughly the same amount here. Looks great though and the console top is very Dragon like to my mind. Nothing like a bit of varnished wood, is there…. 3/ BIFFA Standing Order Form Automate Your BIFFA Subscription!! DWSC Weather – at QMSC !! 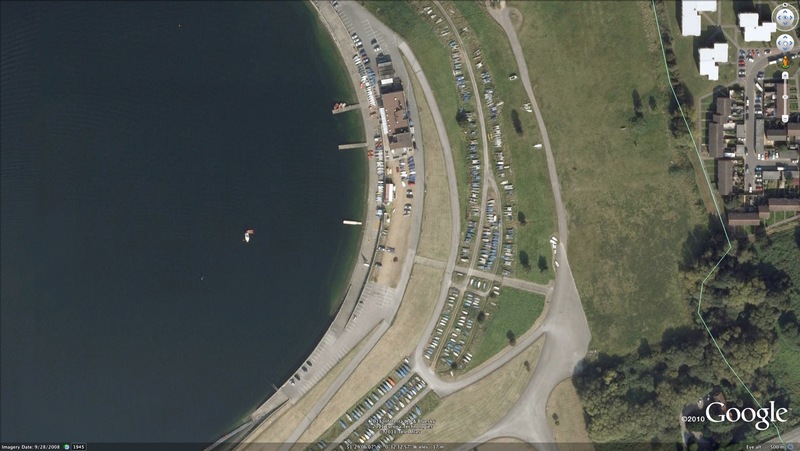 P&B More on "Science Behind Sails"
Southern Championship at Datchet – Results !! Bags or Chute or This Skiff Thing?…….!! Dropped Spinnaker Sheets over the Side Lately??!! Smooth Decks retain less water!! Drain Away Genoa Sheet Turret …. Great Day at The RYA Dinghy Show….!! 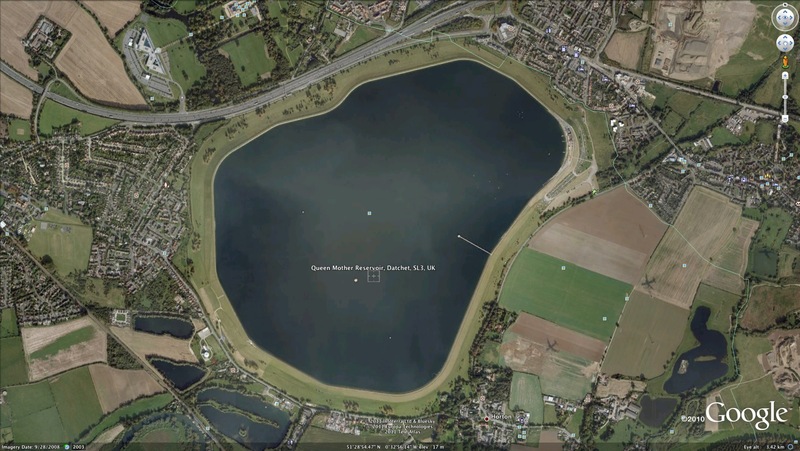 The 2019 Southerns are Coming to Datchet …!! Aussie Nationals at Jan 3rd – Jerwoods Lead !! The Aussie Nationals in Adelaide are On…..!! Chippendale Boats Flying Fifteens – a super story on UKFFA !! Southern Travellers Series 2019 – Venues and Dates Announced !! 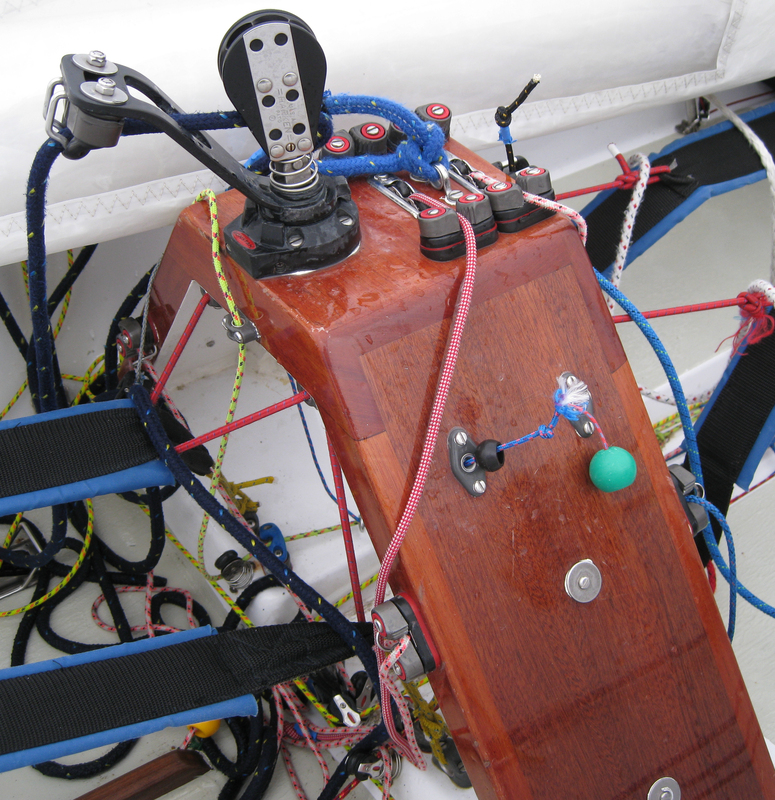 Servicing Your Harken Furler (How to!).......!!! Want to know more about Flying Fifteens, The Datchet Fleet and Great Racing? Please take a moment to click on the tabs in the black border below the large photo at the top of this page.